Dielectric Laboratories - RFMW UK, Ltd.
Dielectric Laboratories Inc (DLI) provide high Q capacitors and circuits for RF and microwave applications. 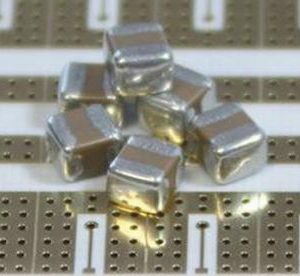 High-Q Multi-Layer caps (MLC) and Single-Layer caps (SLC), Resonators, Broadband DC blocks, Thin Film , and Custom ceramics. Dielectric Laboratories Inc (DLI) was founded more than 40 years ago and has an established background as a leading company in the formulation of ceramic materials which are then used in high Q capacitors and circuits for RF and microwave applications. DLI is now part of the Knowles Group of companies and is a sister company to Novacap, Syfer and Voltronics. Within the capacitor division of Knowles now resides world leading techology for making virtually any size and shape of capacitor their customers need. They are continuosly innovating and improving the range of products and have more recently used the already proven technology to realise build to print thin film circuits where the customer can take full advantage of the range of dielectrics available to either increase the physical size (as is the case for very high frequencies) or (more often) reduce the size of components realised. This technology is very apparent in the new range of thin film filters which are compatible with proven surface mount reflow soldering and are a fraction of the size of more conventionally realised filters. DLI is acknowledged as the world leader in single layer capacitors (SLC’s) with a very extensive library of standard components utilising Class I and Class II dielectrics – with all the ceramics being formulated and cast / fired at DLI’s facility in Cazenovia. As well as being the world leader in SLC parts, DLI also has a reputation for excellent Multi-Layer Capacitors and claim the lowest ESR in class performance for their ‘UL’ series capacitors. DLI are also inovators and they react to market forces and requirements. A typical example of this is the OptiCap and MilliCap ranges of capacitors which really address the wideband requirements seen in the opto-electronics world where multi-gigabit transmissions often need signals extending from low KHz to several 10’s of GHz (more latterly up to 100GHz and beyond) . The broad band lblock capacitors will work over these frequency ranges with excellent low loss performance. DLI successfully addresses many markets from military to medical and from telecoms to space. 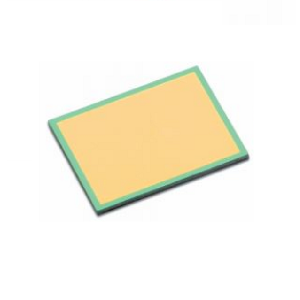 The SLC parts are used extensively in space applications world wide and they are extensively used in high volume optical communications world wide also. DLI is ISO certified.